Verizon Wireless’ purchase, or merger, with AOL stands out as one of the ad tech stories of 2015. This is not only for its multi-billion price-tag, but also how it symbolises the attempted re-emergence of telco operators in the digital advertising game; which is valued at $600bn per year. ExchangeWire analyses how the worlds of telecoms and ad tech are starting to collide; as well as previewing some of the conflicts this may cause, as advertisers look to take their campaigns across screens. 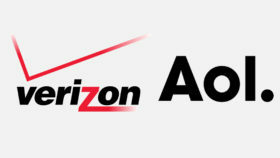 Earlier this month, Verizon Wireless recently confirmed it is to pay $4.4bn in a ‘merger’ with AOL, meaning it will acquire the ad tech firm’s various assets, including: its dial-up internet business and premium content brands, such as Huffington Post; but, most importantly, its ad tech suite, which includes its One by AOL, Adap.tv. The telecoms operator aims to challenge Facebook and Google’s near stranglehold on the mobile advertising market. After the conclusion of the deal, which still has to be approved by regulators, AOL will become a wholly-owned subsidiary of Verizon Wireless. 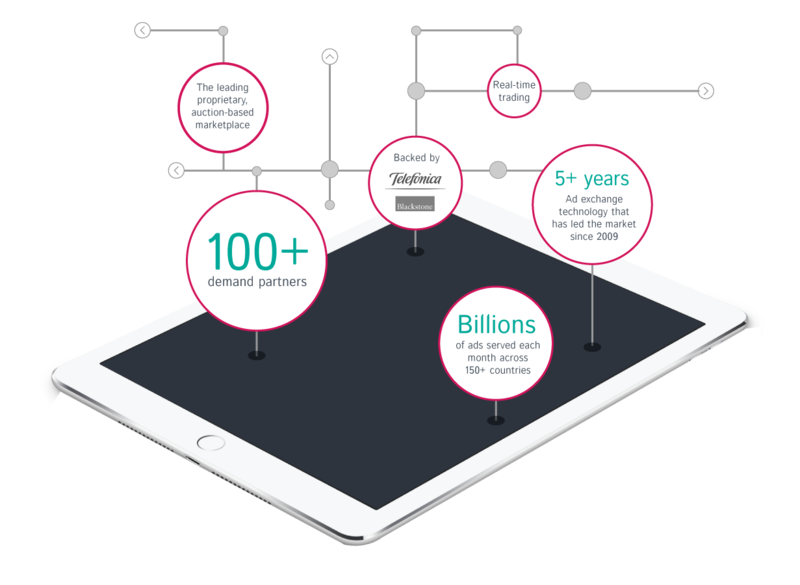 This will put the operator on the front foot when it comes to selling mobile advertising services in competition with established internet players, such as Facebook and Google – which are credited as tying up 75% of the entire market between themselves. In addition, it will also fend-off the dreaded ‘dumb pipe’ scenario, where mobile operators are effectively unable to monetise their networks, while online advertising companies making increasing gains on the back of them. The key opportunity being the possibility to monetise both its extensive first-party customer data, plus its control over their devices. The move comes amid great consolidation in the UK telecoms operator space – which in turn reflects the wider global telco market, as the market is largely controlled by multinational operator groups – as BT attempts to buy EE, the UK’s biggest carrier by subscriber number, plus O2 UK, a subsidiary of Spain-based Telefonica, under offer by 3-owner, Hutchison Whampoa. Arguably, the most significant impact of this on the advertising sector has been Weve. 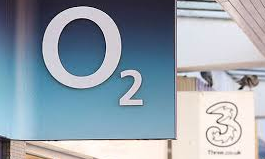 What was a joint venture between EE, Vodafone, and O2, is to be subsumed by O2 in a similar move. Similarly, large telco groups have made similar investments in ad tech, with Telefonica (which has extensive operations in Latin America) purchasing the remains of Velti, post its bankruptcy filing, to launch Axonix; plus Singapore’s Singtel buying Adconion and Kontera; as well as Australia-based Telstra purchasing Videoplaza. However, first, let’s take a more in-depth look at the Verizon positioning, much speculation has already been rife as to the fall-out of the move. The first rumour out of the hatches was whether or not tech websites, such as TechCrunch (built on a reputation for independent reporting of the technology sector), would sit well within the Verizon fold. Especially since it has previously closed SugarString for fear of potential ‘bad news’ headlines emanating from within its own house when it came to net neutrality. Plus, speculation over the potential for mobile operators to use ad blocking technology in order to force a more generous revenue-sharing agreement from the likes of Facebook and Google have also emerged in the aftermath of the deal; although, US net neutrality regulations introduced earlier this year by the FCC would likely prohibit Verizon’s adoption of such a technology. However, this is a point that can be debated at length later. Clearly, Verizon has looked at where it sits in the ecosystem and has made a call on how best it can monetise its vast swathes of first-party data. What positions it well in the eyes of advertisers is that it possesses both subscribers’ fixed-line and mobile telephony services. As of the most recent quarter, in addition to its 133+ million mobile subscribers, it also offers FiOS Internet and Video – with around seven million and six million subscribers for the respective services. In an interview after the announcement of the deal, Tim Armstrong, AOL, CEO, said the combination of Verizon and AOL would, “create, what I think, is the largest mobile and video business in the US”. Clearly the telco sees this unique market positioning as an opportunity to both target and serve ads to users across its network of users on both fixed and wireless screens. Which is something that will take them into real contention with Facebook, with its Atlas ad server, and Google’s DoubleClick. Sources within the industry seem to agree with Armstrong’s assessment. As mentioned, the buy means Verizon now has a raft of tier-one media properties to service ads into, and if it can layer its own data over the top to help advertisers inform these buys, it can also help them to inform these buys across screens. Through AOL’s One technology stack, Verizon will also be able to achieve this using services such a its Adap.tv outing (the episode of TraderTalk TV below reveals more about this side of its business). If the main threat to the future of the telecoms operator model is the ‘dumb pipe’ scenario (as outlined above) then this purchase should enable Verizon to switch to a relatively high-margin one. Media inventory enriched with Verizon data will prove lucrative to advertisers, which opens a whole new world of opportunity for Verizon. At $4.4bn, O’Kane thinks the purchase is a good move for Verizon. The question is, will other telcos want to follow suit? As mentioned earlier, the wider telecoms sector is going through a period of realignment. In the UK, Weve, the former mobile operator joint-venture has been bought by O2 (which itself is under offer from Hutchison Whampoa, aka 3). Still in a period of transition, Weve is likely to pivot towards becoming a primarily programmatic advertising play, according to sources within the company. With many industry commentators saying the outfit failed to offer programmatic display advertising since launching the service last year, Weve representatives are eager to point out that under the hegemony of a single entity (as opposed to having three shareholders) it will find it easier to bring data-fueled programmatic advertising services at scale to market. David Plumb, Weve, non-executive director, told ExchangeWire it still remains uncertain how the renewed Weve will look commercially in the mid-to-long term future, but he does point out the new operation will benefit from having an even bigger addressable consumer base. Under its guise as a JV, Weve had only 22 million users to offer advertisers; but, under the new management, it will be able to offer 31 million, a figure Plumb calls the “biggest first party-data set on mobile” in the UK. Presently, Weve is in the process of decoupling the data sets of EE and Vodafone from its offering (previously campaigns were offered to effectively ‘bind’ across the different operator customer sets). However, under the new proposition, Weve will be able to offer even more data, including: O2 Priority; O2 Wi-Fi data; along with enhanced customer insights using Telefonica’s Smart Steps trackers (which is essentially a smart-step tracker, see video below). Add the (albeit small) 3 customer base to this number, and Google have Facebook have a serious contender on their hands. 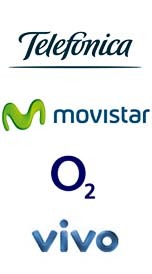 This move comes a year after O2’s parent company Telefonica announced it launched Axonix from the ashes of Velti, given that Telefonica (which operates across both Europe and Latin America under the brands listed right) which in theory offers advertisers access to a potential 325 million mobile users. 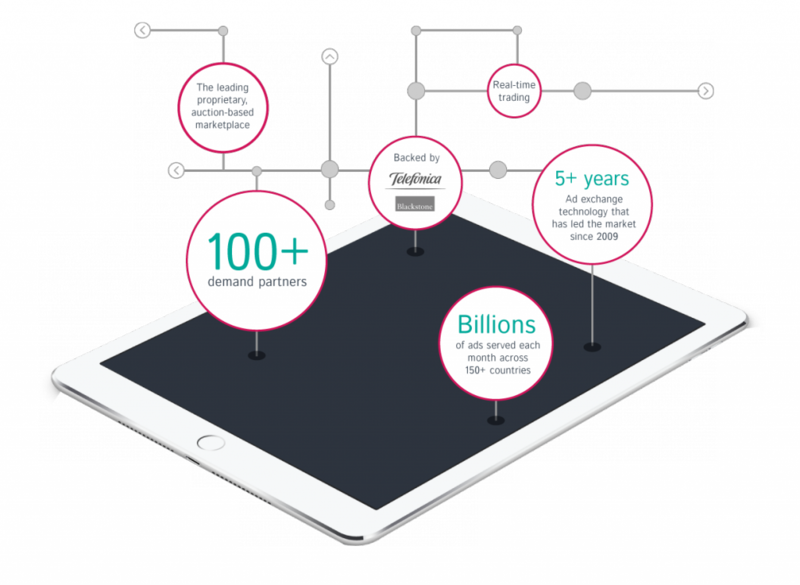 The exchange claims to offer advertisers real-time access to mobile inventory via 100-plus demand-side platforms (DSPs) on a white-label basis. Despite Axonix’s proposition being poorly articulated to the market, the scope of the potential scale of the proposition cannot be ignored. However, it is in the APAC market where this collision of ad tech and telecoms has taken hold even further, with Singapore-based Singtel – a company that has over half a billion mobile subscribers across Africa and Asia – with that number rising to two billion, when it comes to both fixed-line and mobile services, establishing a strong presence in the ad tech sector last year, among other regional players. The operator, which also operates under the Optus brand in Australia, among other telco brands elsewhere bought the north American and APAC assets of Adconion and Kontera for a combined $375m, via its Amobee subsidiary. 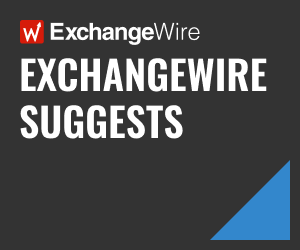 Speaking with ExchangeWire’s Wendy Hogan, Mark Strecker, Amobee, CEO, said the purchase meant that it could now offer brands a cross-channel, cross-device stack, including a full end-to-end offering including a DSP (previously GradientX), RTB Exchange, Brand Intelligence (previously Kontera), Creative House (3D), Lifetime Value (LTV) and Amobee DMP. The Amobee DMP also contains over 800 million unique profiles, at least 50% of which are sourced via first-party data relationships with mobile operators across Australia, Asia and Europe. These operator relationships are exclusive to Amobee and currently renew almost automatically due to the platform integration and commercial returns the operators are seeing. 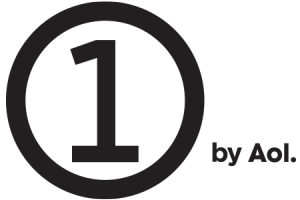 Amobee has now assigned its own internal user ID and promises to optimise campaigns across all channels, affording it’s positioning as a tech platform, as opposed to an ad network. Strecker believes mobile operator data is likely to be the key alternative to Facebook and Google IDs, when it comes to targeting users across devices. For him, it is unlikely the industry will see an open ID for cross-device targeting in the near term as the data is too valuable to open up, hence operators’ ad stacks are likely to make big waves in the market, he adds. Meanwhile, last year multiple rounds of consolidation also saw Australia-based mobile operator Telstra buy into Europe-based Videoplaza – via its Ooyala subsidiary – for an undisclosed fee, demonstrating that operators are also eager to get involved in video businesses. Further afield in the region, Japan-based mobile operator SoftBank (a company that has previously invested hundreds of million of dollars into mobile ad network InMobi) is widely predicted to be taken over by ex-Google head of business Nikesh Arora (he currently holds the position of CEO of SoftBank Internet and Media). Given that many players in the the digital advertising space predicting an ‘ad tech power game’ in the coming years, mobile operators just may re-emerge as a force to be contend with. See video below for Michael Rubenstein, AppNexus president’s discussion of his view on the ‘ad tech power game’, with Brian O’Kelley, AppNexus, CEO, including how cash-rich players are likely to buy their way into the battle during its flagship summit last year. “Many of Silicon Valley’s biggest companies right now wouldn’t have seen themselves as advertising companies when they started out; but now they’re making hundreds of millions [of dollars] from it each year,” he says. Although he doesn’t discuss the prospect of mobile operators specifically, he does go on to address how AOL’s position as a programmatic advertising player makes it a key player.